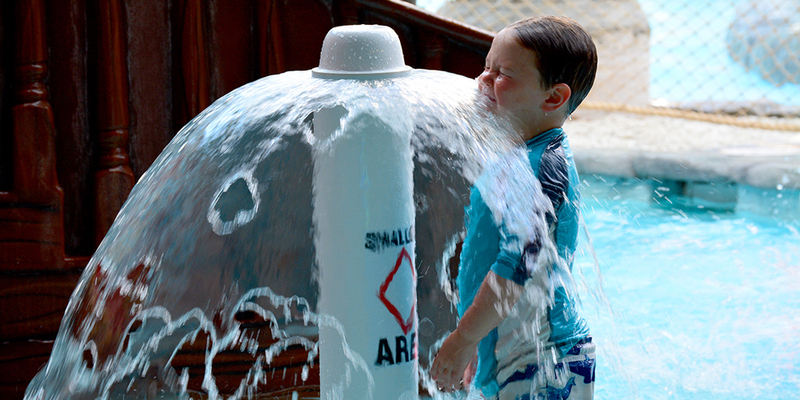 Our goal is to create an aquatic environment that is both fun and safe for you and your family. In designing the following rules and regulations we are asking for your help and cooperation in abiding by and enforcing them. *Outdoor pool hours subject to change without notice. Inclement weather such as rain, heavy snow, ice, extreme cold etc. can cause hazardous conditions and may force the closure of the pool without notice. Please understand this is for the safety of our guest and staff. Wristband colors change daily at 11:30a.m. and are available at the Front Desk. Proper attire is required, please wear shoes and appropriate swimsuit cover-up at all times while walking through Resort's hallways, lobbies and restaurants. 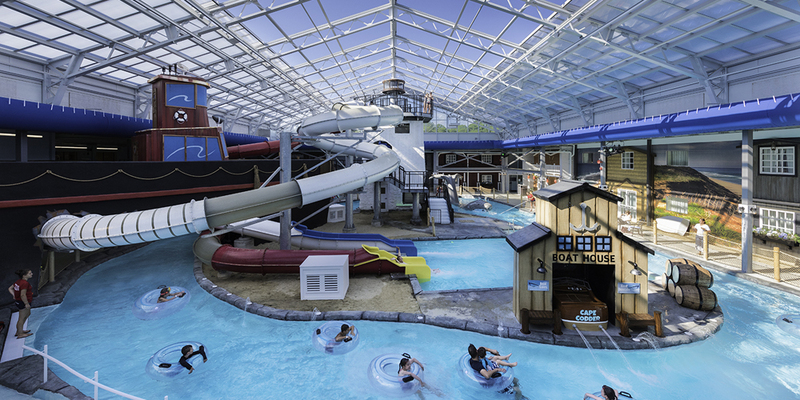 Water park is included when reservations are booked directly with the hotel. 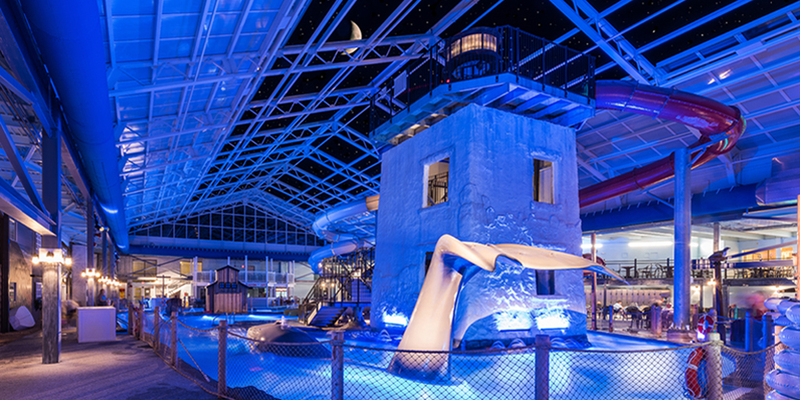 Water park is not included when booked through a third party or as part of a negotiated reduced rate in lieu of admission. On the day of your departure, the pool is available to you until the designated closing time that morning only. 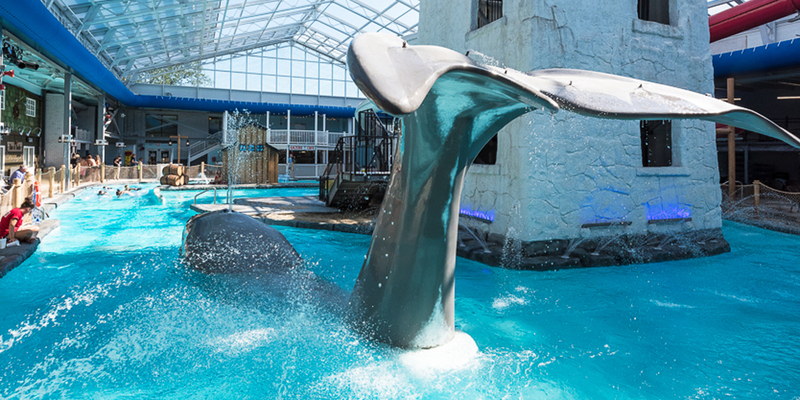 Due to our 11:00am check out policy, use of the pool after 11:00am on the day of your departure is prohibited. Before entering pool, bathers are required to take a cleansing shower. Persons presenting symptoms of fever, cough, cold, inflammation of eyes, nasal passages, ear discharges or communicable disease may not enter the pool. Persons must not in any way contaminate the pool or its floors, walkways or locker rooms. We do not allow guests to bring their own food or beverages into the Water Park or outdoor pool area. Our Gazebo Café offers food and drink for purchase that may be eaten at the tables provided. No food or beverage allowed in the water / water areas. Glass containers are not permitted in the pool areas at any time. 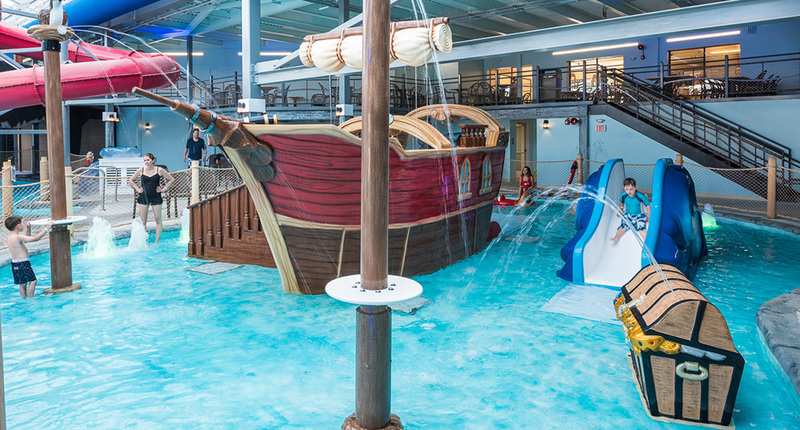 Children under 16 years of age must be accompanied by an adult (18 or older) when using the facility an adult MUST remain inside the pool areas at ALL times. 1 adult must accompany every 5 children. 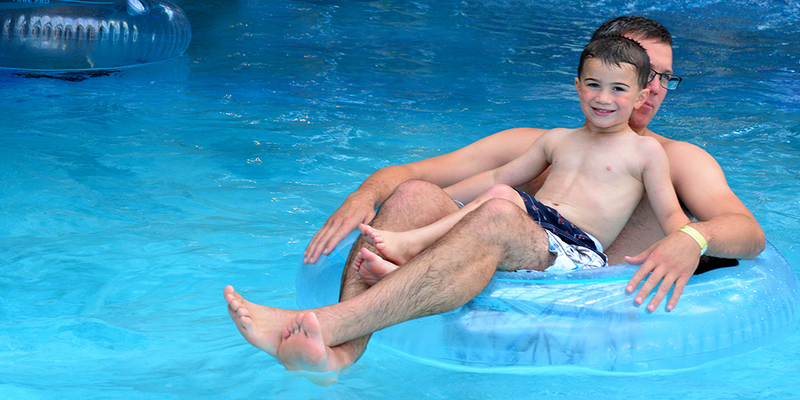 Balls, Boogie Boards, Water Noodles, or Inflatable devices, other than water wings and sewn-in bathing suit rings, are not permitted under any circumstances in the pools. Running, jumping, diving, chicken fights, shoulder play or body throwing is not allowed at our facility at any time. Children MUST be either toilet trained or in “Swim diapers” to go into the pools. Disposable diapers are not permitted at any of our pools. Swim diapers are available from Lifeguards. 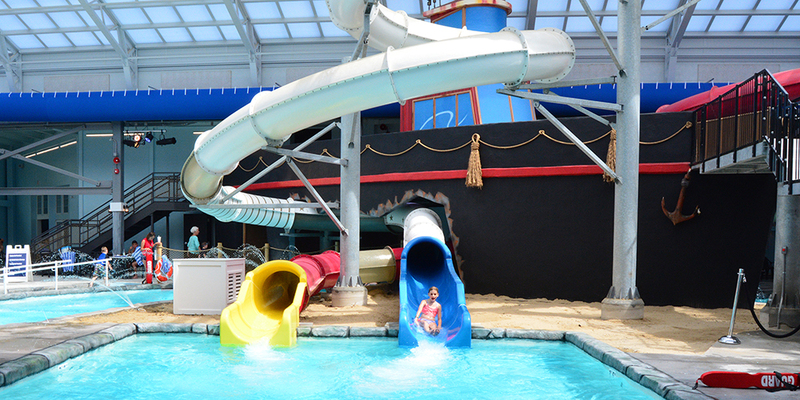 ​Our goal is to provide a fun, safe aquatic environment for our guests. Failure to abide by the guidelines or pool staff may result in removal from the Water Park or Outdoor Pool. The pool is two feet 6 inches deep – (2'6"). Guests may only float in a tube. Travel in the direction of river current only. "Supervising companion" is understood to mean a person who is responsible for assuring that the child will comply with all applicable rules and regulations for the ride. If your child cannot swim to stairs on their own, they may NOT ride the slide. You must be 14 years of age and accompanied by an adult (18+) to use the hot tub. Please refrain from inappropriate displays of affection in the hot tubs remember that we are a family resort. Fitness Room is reserved for persons 16 years of age or older, there are no exceptions. In the event of an "accident" in the pools, we are required by law to immediately clear the pool for proper clean up. The pool will remain closed until cleanup is completed in a satisfactory manner which may take an indefinite amount of time. The hotel management is not responsible for any loss of pool use time. Compensation of any form will not be made under any circumstances related to this matter. The staff at The Cape Codder Resort thanks you in advance for your cooperation.